Just wondering, how does the premium Panther compare to the regular panthers I and II? Does anyone have experience from all three? Wat? OMG! IrmaDrivesTanks on Youtube! I had all three. Panther M10 is much supperior than Panther 1, greater firepower, prefferential mm, you only see tier 8 max, but mostly you are top tier. Overall is a great money maker because you kill many noobs, thus doing good money constantly and reliable. It does on average 70-80.000 credits at 2000 damage. Max I got some 120.000 credits in a very good battle. If you get this tank at a 30% discount, is a great deal. I have all three and they play fairly similar. The Panther/M10 is slightly better than the Panther I due to it's higher ROF and better armour profile.....however I thoroughly enjoy playing each one. Edited by Blitz_1944, 08 January 2016 - 03:02 PM. That is more or less what I was thinking. I get in a lot of tier VIII matches with the VK 30.02 (M), so with the preferential matchmaking of the Panther/M10 I'd get in pretty much the same matches, only I'd be a tier higher with slightly better armour and much better ROF. It's a premium, so I wouldn't have to grind the crew. I'd probably not lose credits playing it. Plus I like the look of it, and it's a historic vehicle. All in all, it's starting to look like a more appealing proposition than the Panther I. And it's on sale. Edited by IrmaBecx, 08 January 2016 - 04:25 PM. Get it Irma, you won't regret it...I gaurentee it. Yes. There is no way this tank can dissapoint. It has 4 major strong points, almost always top tier, good money, good damage, good frontal armor when top tier. You will.grind so.many tier 5-6 noobs in it, I made lots of millions with it. Its best used with another Panther M10 as platoon or even at15a. Thank you both for the encouragement, I'll be having lots of fun in this one! Well done Irma, that's a fantastic result....keep it up! I should probably try adrenaline, don't think I've used it before. What other consumables are you running, Garyslegg? Speaking of which, what equipment are you guys running on it? Equipment: vents, gun rammer and optics (standard on most of my meds) Consumables: Multi repair, chocolate and adrenaline. Edited by Blitz_1944, 10 January 2016 - 10:27 PM. I had a difficult time with the equipment. Went rammer, vents and GLD in the end. Partly because I'm either doing peek-a-boom or flanking, the former at fairly close range, and the latter when someone else is spotting. I tried Binocs, but they did't seem useful, I don't snipe like that in this tank. Coated optics would make sense, though. I could maybe sacrifice the GLD for it? It would increase my peek-a-boo range, and the P/M10 can pay for it. By all means yes. Fit the optics. Or maybe stabs although I don't know if these can be fitted. Still need to platoon in löwe. Try some M10 teams too? I tried the optics, but started missing a lot of shots, so went back to the GLD. Stabs are not available on the Panther/M10. This should probably tell me that I am being too aggressive in this tank and I should keep my distance. When flanking, I most often fire at targets that are already spotted. Someone said they don't trust their teammates to spot for them, and that's probably good, but there is a difference between having a spotter that you cooperate with and using your teammates for "bait", so to speak. The trouble is being top tier and being expected to lead in a flanker/sniper, that seldom good well for me. I'm sure I'll fit the optics bach when I get more experienced. Still haven't driven the Löwe, mostly because I'm driving a lot of mediums at the moment. I'd love to do an M/10 platoon, though! 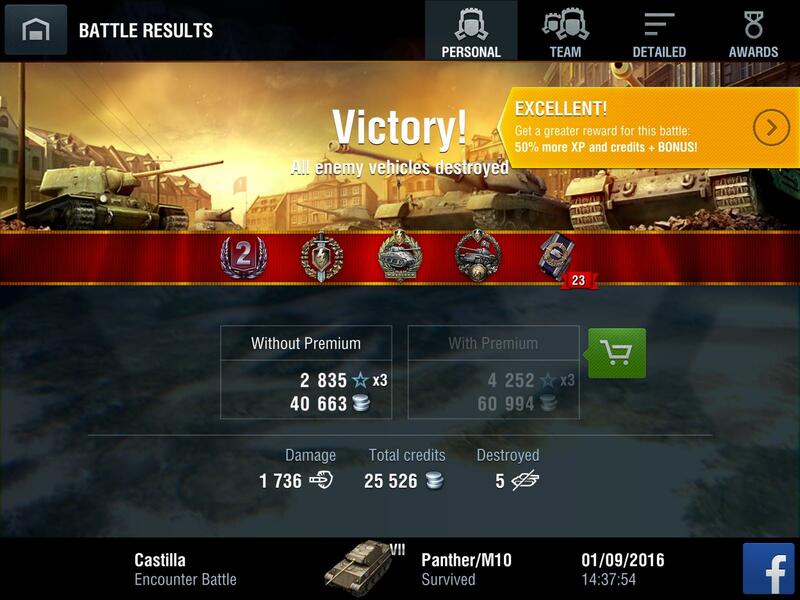 PantherM10 is disregarded by many, but it is a great tank. I fail platoon in it and screw the pref MM and still end up winning top scores. has great everything, can't list it here, although it's not a good sniper. That's because, although it has great accuracy, it will bounce too much from afar. flanking, hulldown, Sidescrapping and peekaboo are guarantee success. I use vents rammer and smthn, probably optics or maybe GLD but the gun is already good. I run with adrenaline, multi repair and chocolate. the chocolate is paid for by the great earnings. all goes for the Dpm as you see. Edited by minitelrose, 20 January 2016 - 08:17 AM. Yes, I do think it has a bit of a bad reputation, but it really is fantastic. I'm learning so much from this tank, and this morning I finally eased the WR over 50%! I tried the optics, but in the end I went back to GLD as I started missing a lot of snap shots, especially when peek-a-booming. Been meaning to try adrenaline, but for the moment I'm carrying multi, panzerschokolat and regular repair kit. I find the repair kit helps a lot, getting tracked and having to get out of a tight spot, gun or turret damaged, but most especially ammo rack being hit, which messes up the reload time. And you're right, the earnings really are great. We were right, the video really looks fantastic! Great stuff, as always, too. I notice that even on a win you take some heavy damage, and that's been my experience as well. Often, all you can do is to try to take out as many guns as possible and hope for the best, like with that Cromwell in the last game. Must also say you landed some magnificent shots, my favourite was the one to the commanders hatch on the IS in the last game. Of course, I am biased towards the Panther/M10, but this has been my favourite video so far; a close tie with the Dicker Max. I bought the M10 at the recent discount and have been very pleased with its performance. 55 battles and 67% I have found it to be a very good tank to platoon in and the pref MM is a boost that helps. Get it and enjoy. Am in the predicament of having just researched the standard Panther so do I buy it if it may be inferior to my premium M10 ?